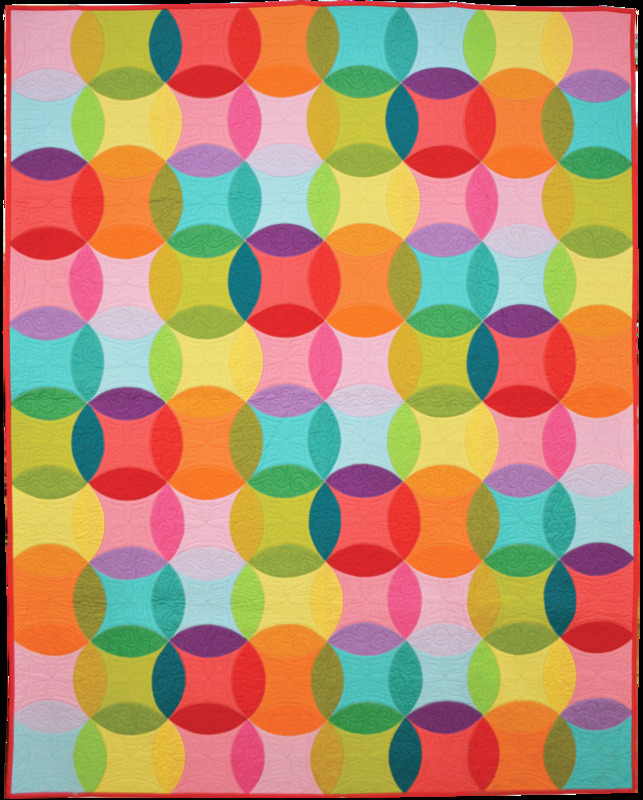 Warm sunny weather greeted us upon our desert adventure to Quilt Arizona!, the new name for the 2016 annual show of the Arizona Quilters Guild in Mesa, Arizona. Here's Part 5 of the highlights of the show, plus some of our personal favorites. Third place winner in the Art Quilts/ Painted or Digital category, Georgia notes of her original design, "My interpretation [was] inspired by my photo of Antelope Canyon." A small thread-painted tree, on the right-hand side of the quilt, lends perspective to the scene. 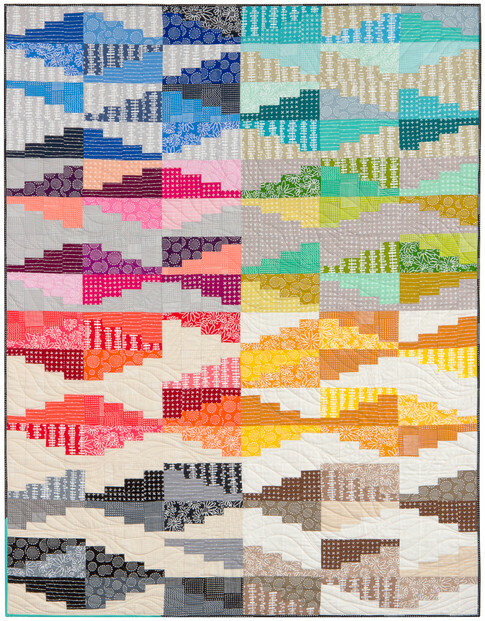 We admire the gorgeous colors of this stunning quilt, which shows the nuances of sunlight and shadow, as the viewer looks upward into the blue sky. Antelope Canyon is a picturesque canyon in northern Arizona, characterized by twisting sandstone walls. 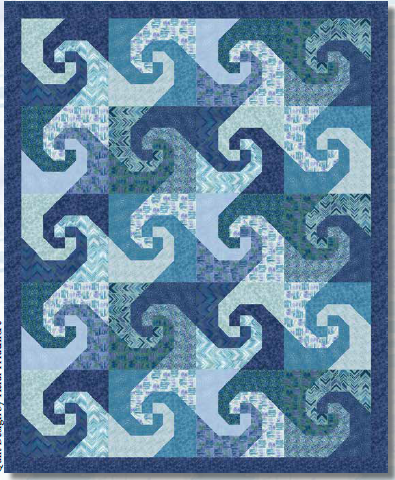 This quilting pattern very realistically depicts the striations in the spiral rock patterns. Georgia quilted this beautiful work herself, using a stationary machine. Honorable Mention winner in the category of Art/Abstract quilts, Patsy writes about her original design, "Ah, music...it flows, ignites, sparkles, calms, interweaves, spills over... and moves you." This lively, energetic work clearly exemplifies Patsy's enthusiasm and love of music. 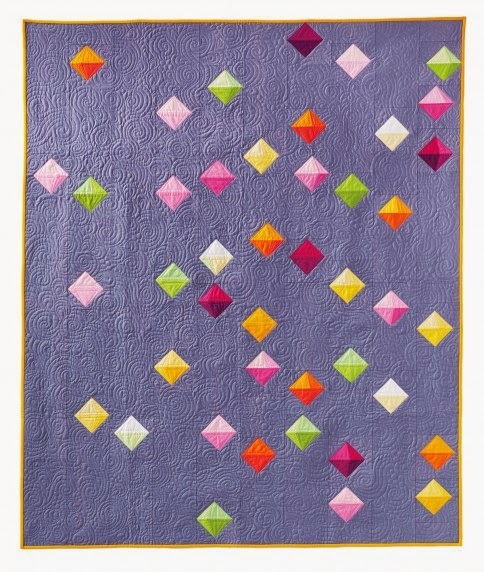 Patsy has added some very "jazzy" embellishments to her quilt, along with the use of tulle netting. 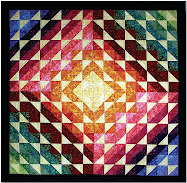 We really liked this quilt, as it was so imaginative, vibrant, and fanciful. 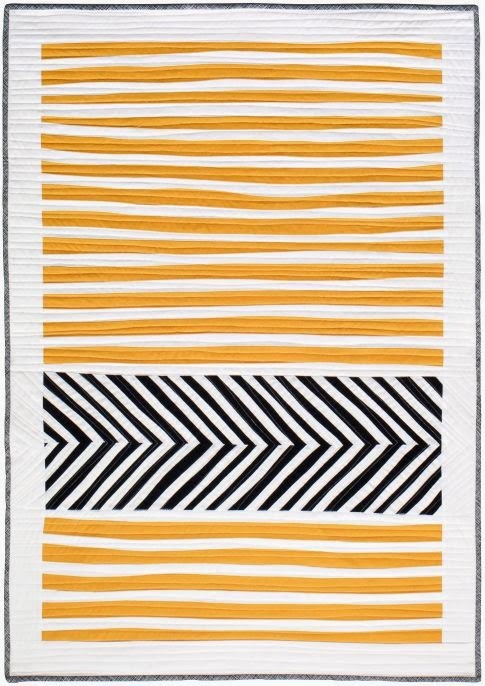 After 6 years of blogging here on Quilt Inspiration about other people's quilts, Daryl Lynn finally took the time to make a quilt to enter into a show ! 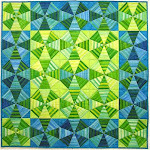 This isn't Daryl Lynn's first effort at quilting, but it is her first quilt show entry. 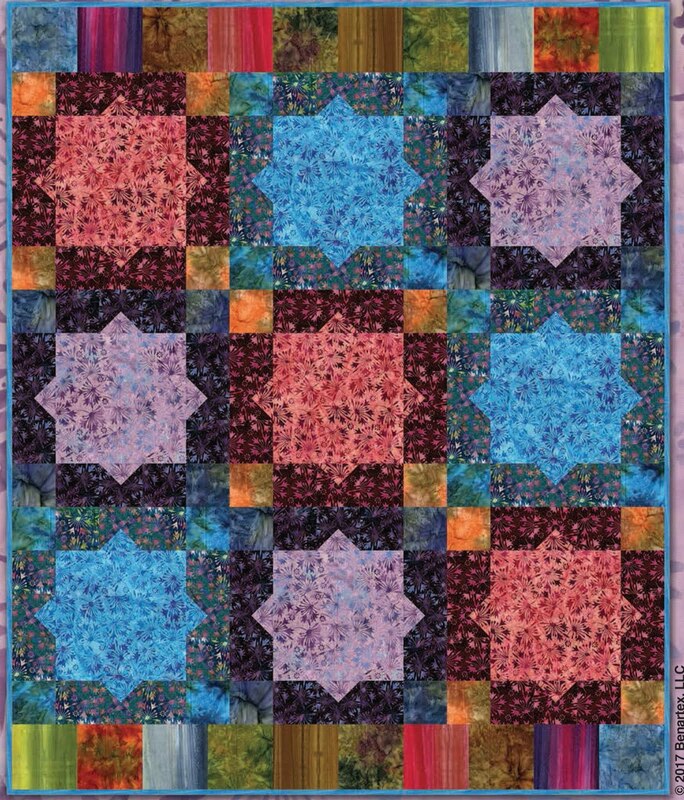 Daryl Lynn used the pattern "Bright Squares" from Heritage Quilts by Kaffe Fassett. Check out the book, which is posted on our right hand sidebar ! (Just scroll down a little). 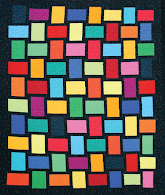 It is full of brightly colored quilts, that are really fun to make, with an easy-to-understand text and instructions. 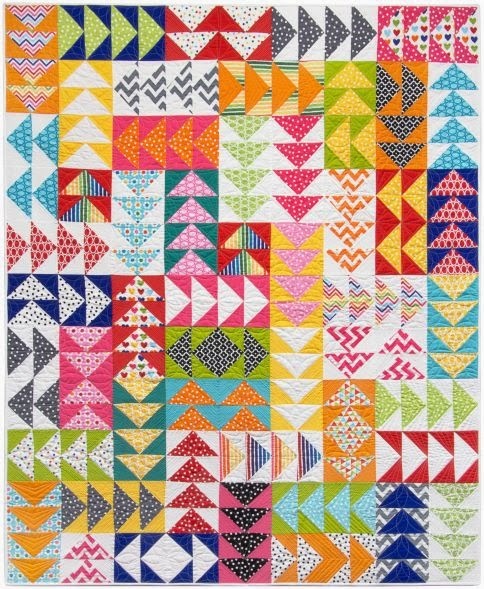 This quilt is comprised of more than one thousand 2-inch fabric squares. The squares are sewn into big 26 inch square blocks, which are then pieced together. 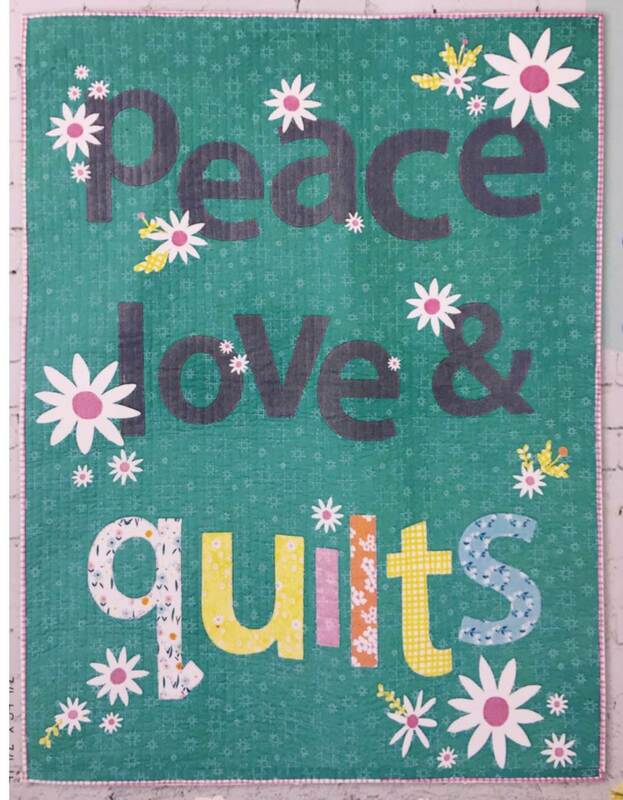 Daryl Lynn would like to thank her sister and fellow blogger Marina, longarm quilter Laura Jansen, and teacher Margrit Hall. 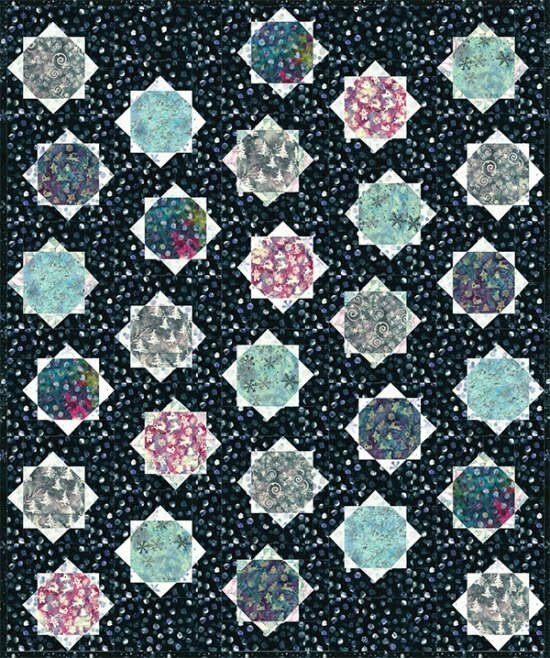 Honorable Mention winner in the category of Art/Innovative quilts, Barbara writes about her original design, "The vacant lot behind our house was filled with dandelions this summer while I learned to ride my two-wheeler bike." 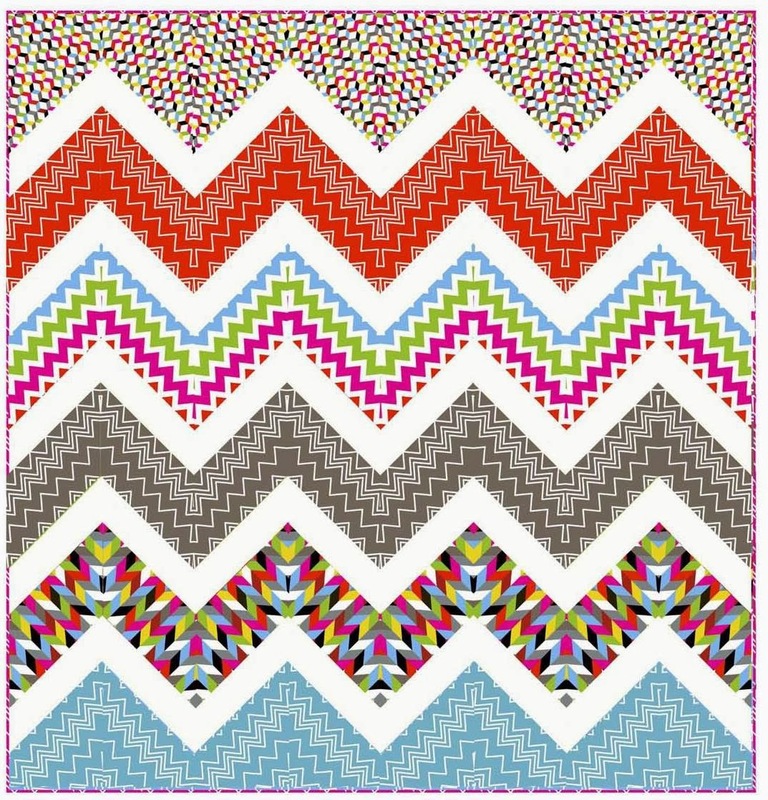 The inner border of black and white print fabric adds a very whimsical, creative touch to this softly-hued work. Barbara continues, "Layers of tulle and dryer sheets create the puffs with embroidered seeds and beading. We think this embellishment is really pretty and gives the perfect effect of wispy dandelions floating gently in the summer breeze. 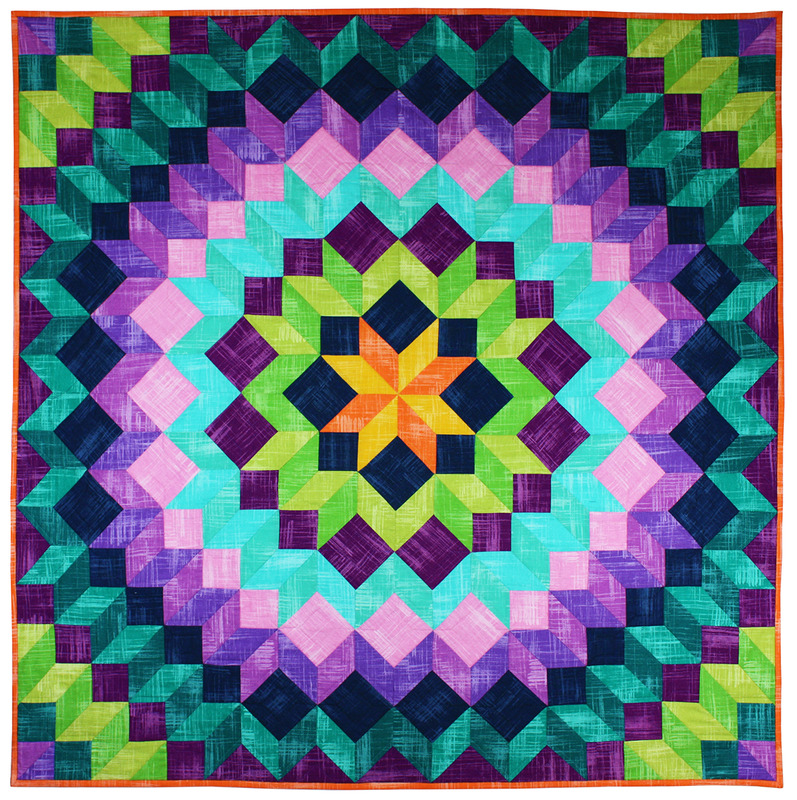 Barbara quilted this work herself using a stationary machine. Honorable Mention winner in the Large Applique quilts category, Rosemarie remarks, "My daughter Julie loves and has chickens. 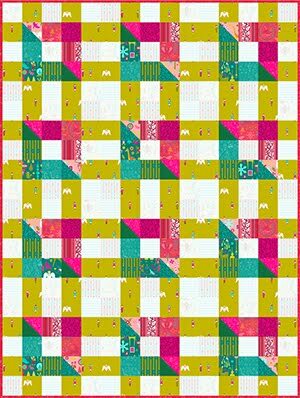 When I saw this pattern, Funky Chickens by Sindy Rodenmayer, I knew I had to make it for her.The fabrics are mostly by Kaffe Fassett." We think these chickens are just bursting with personality, and the eye-catching colors really "pop" against the black background. Look at this chicken's neck, which is actually a floral fabric; however, Rosemarie uses it in such a skilful way here, that it looks like chicken feathers! 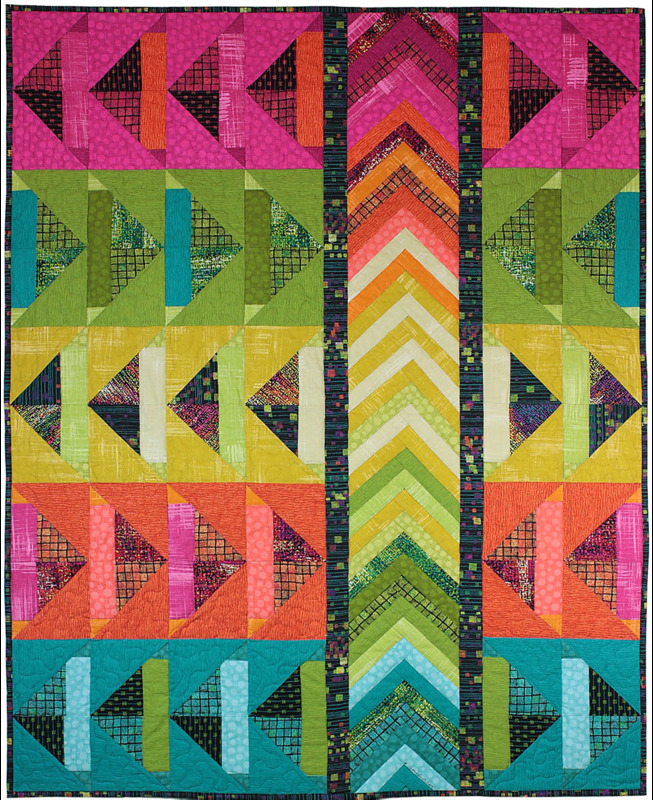 Using a track mounted machine, Debbie Stanton did a fabulous job of longarm quilting this happy quilt. 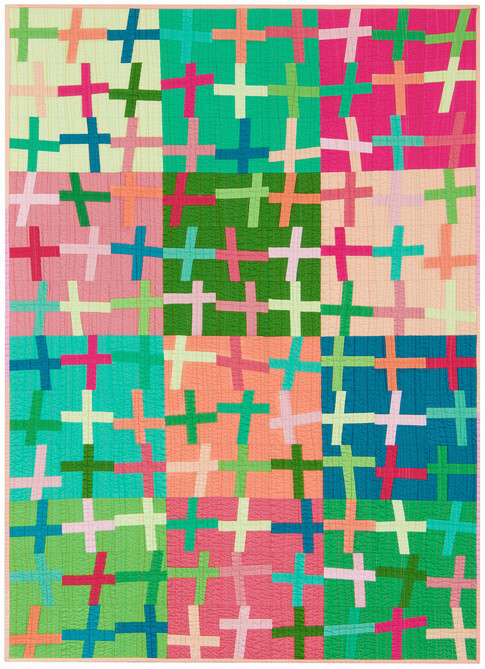 Honorable Mention winner in the Pieced Medium-size quilts category, Kathy notes, " [I took an] excellent class with Judy Niemeyer certified instructor Jackie Kunkel . I love the red/black combination." We agree with Kathy that the use of red, black, and white fabric here creates a very striking and elegant combination. 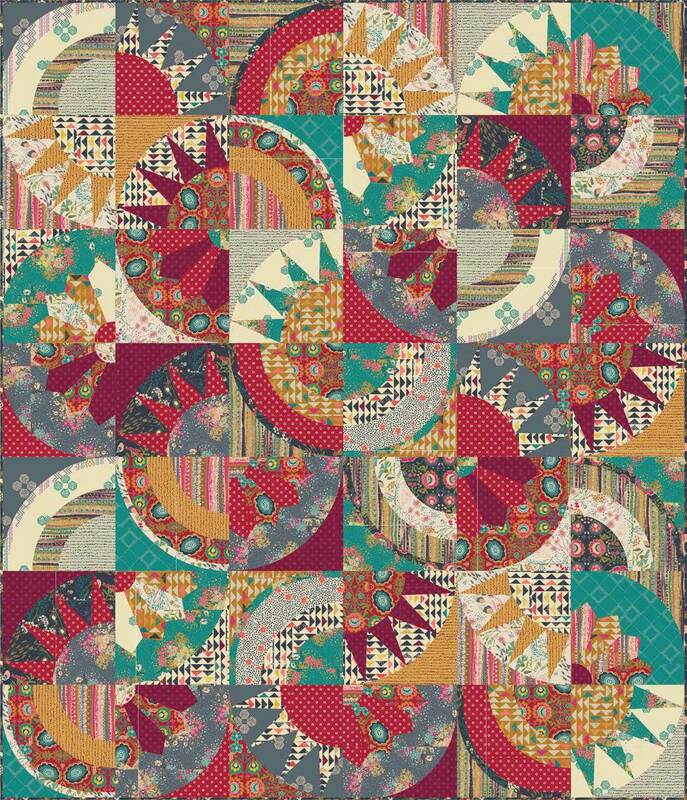 Kathy's design inspiration was the Vintage Compass pattern by Judy Niemeyer. 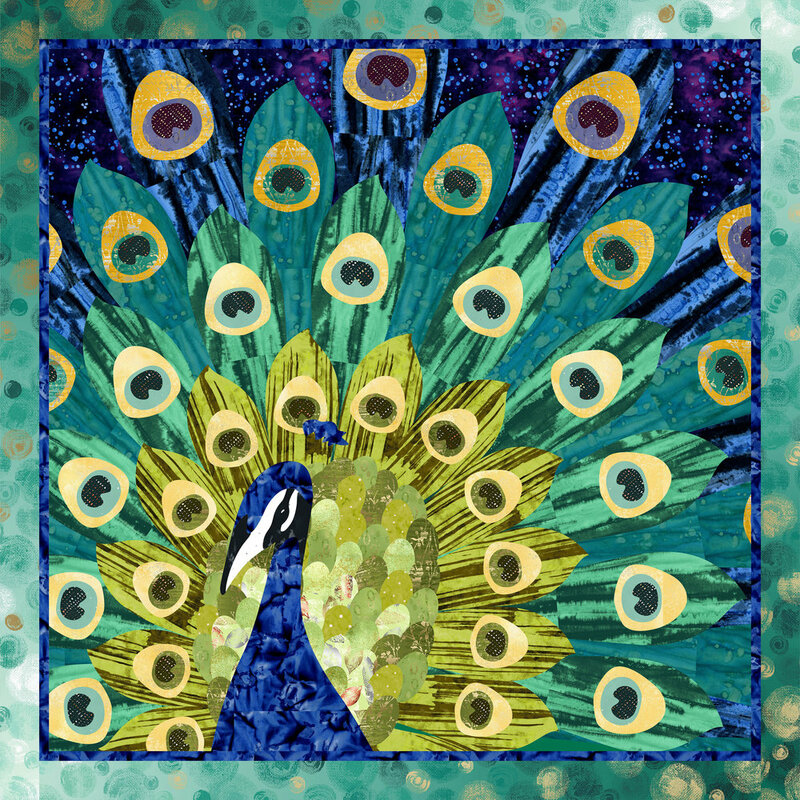 The very artistic quilting is a digitized pattern by Penny Boese. Warm sunny weather greeted us upon our desert adventure to Quilt Arizona!, the new name for the 2016 annual show of the Arizona Quilters Guild in Mesa, Arizona. Here's Part 4 of the highlights of the show, plus some of our personal favorites. Skye explains, " [I sewed] strips [in desert colors] joined by curved piecing. There is a small inset piece at the bottom." We loved the gorgeous colors and lines done in gentle waves, which are so evocative of the rolling desert foothills. 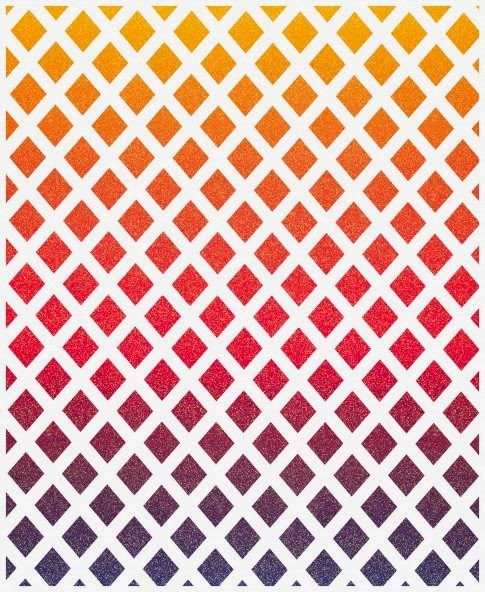 Design inspiration: Intuitive Color and Design by Jean Wells Keenan. Skye finished the edges of her quilt with a facing, then she appliqued it to another solid quilt, so that the piece has more depth. She quilted this beautiful work herself, using a stationary machine. Krista says, "Gnarled cedar tress atop Mt. 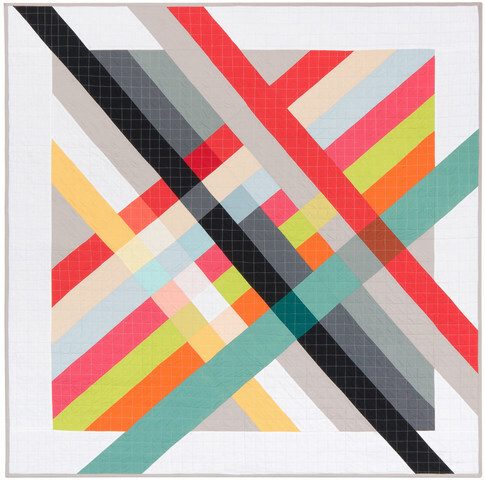 Lemmon, in Tucson, Arizona, were the inspiration for this original design wall quilt." 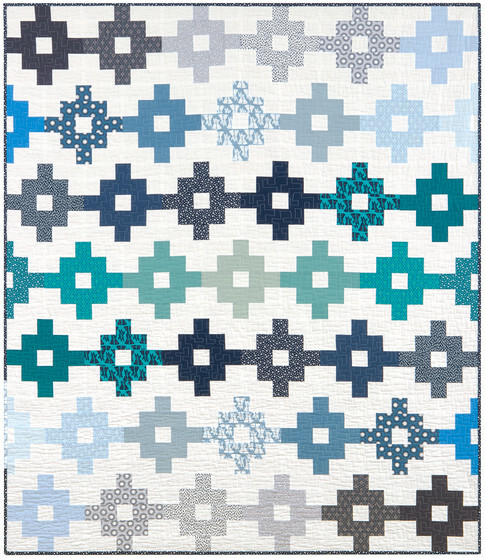 These clear, softly hued fabrics work together perfectly to give this quilt such a refreshing, elegant look! . 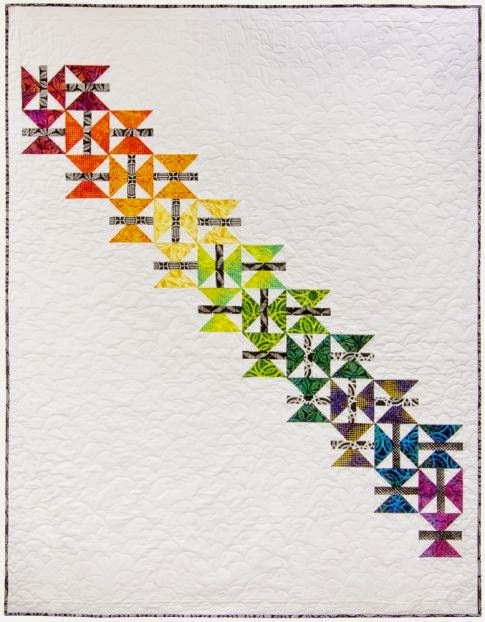 Krista continues, "I used all of my own hand-painted cotton, raw edge appliqued on black fabric, to suggest pen and ink with a watercolor wash." To us, this quilt suggests a lovely stained glass window, with sunlight shining behind it. 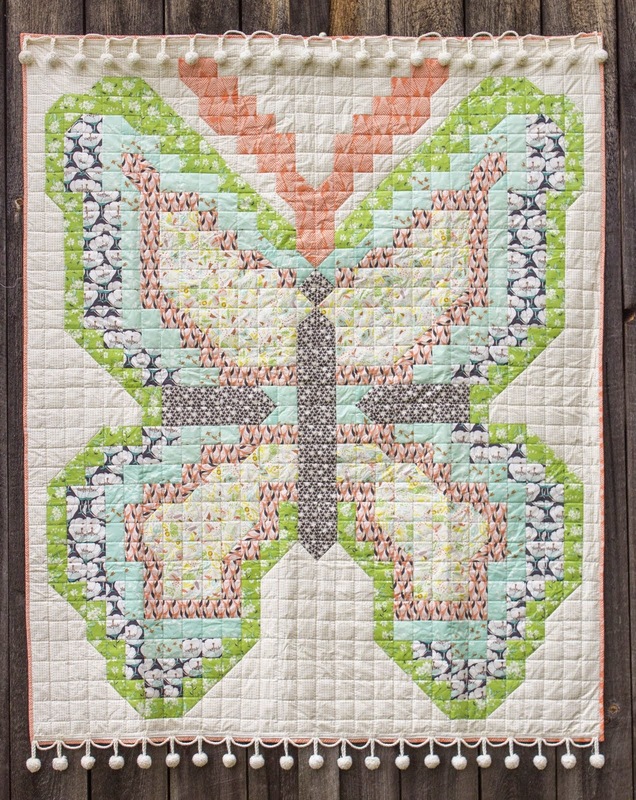 Krista quilted this herself, using a track mounted machine. Third Place winner in the category of Pictorial Quilts, this fun, sophisticated work shows a long-necked mother giraffe, bending down to touch her baby giraffe. 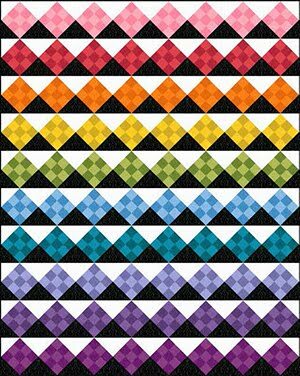 Monika writes, "[I] found this pattern at the Road to California Quilt Show, and it seemed to be very challenging. It was!" We really admired this fabulous, precise workmanship of both the foreground and background, which was quilted by Debbie Stanton. 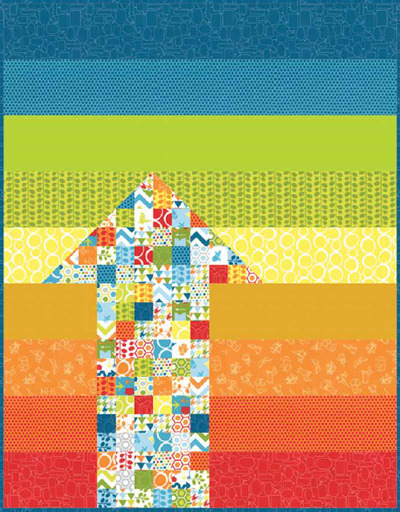 Monika adds, "The quilting gave it the background it needed. 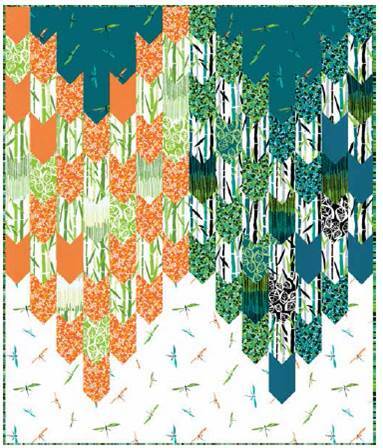 [Some of the] background looks like leaves, which is very intense quilting without being overbearing." Monika's design inspiration was Love From Above at Treglown Designs. 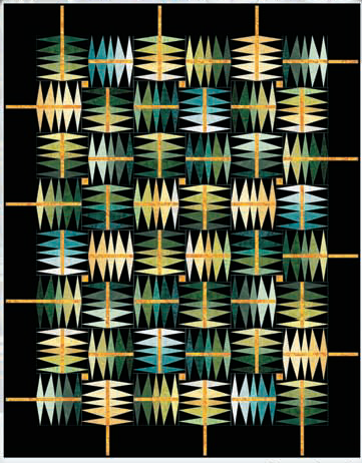 The pattern, by Keri Duke, is based on original artwork by Charley Harper. Honorable Mention winner in the Pictorial Quilts category, Charyl notes, "I fused multiple layers of fabric over one another and quilted with accenting color to represent a picture of a sunflower taken by my husband." The split-complementary color scheme of orange, yellow, and green, combined with a dark purple center gives a dazzling, eye-catching look to this work. Charyl was inspired by a Fabulous Flowers workshop taught by Melinda Bula. Charyl's thread-painting technique looks terrific here! Charyl quilted this work herself, using a stationary machine. 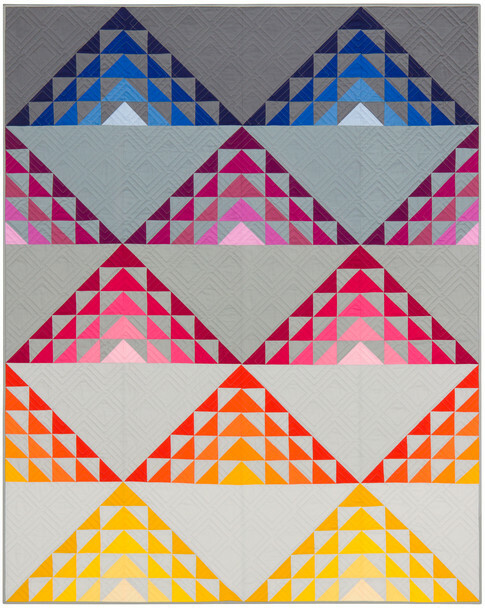 Kimberly won First Place for Best Theme Quilt of 2016. 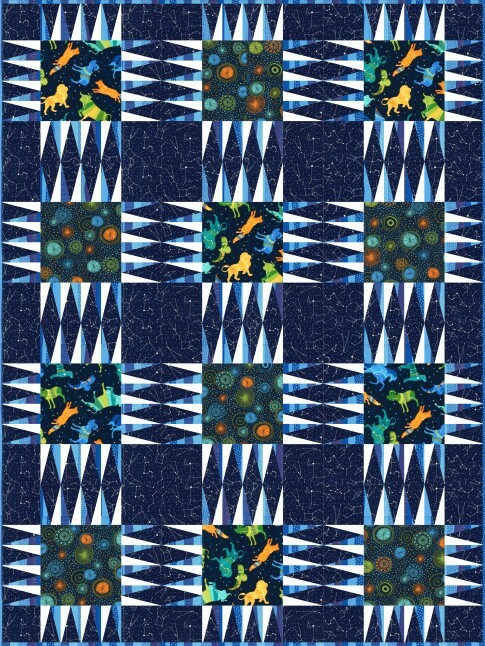 This year's theme was "Traditions", and Kimberly made this quilt to depict her family's tradition of going on vacation to a scenic lake each year. Kimberly states, "Tabitha is the 16 foot turquoise blue teardrop-shaped travel trailer that my husband and I take camping. She is shown [on this quilt] near the pond." ( Please see bottom closeup photo below). Kimberly was inspired by the pattern, I Met a Moose at Bear Lake by Jackie Robinson. Kimberly did a fabulous job of hand-quilting this work herself. 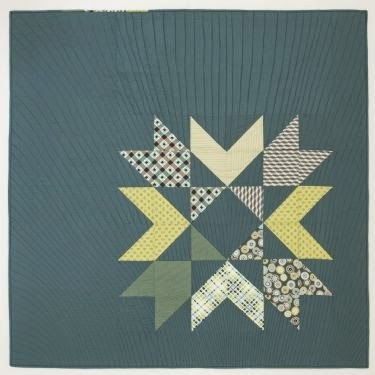 Among everything else, we love the little pine tree outlines that are carefully hand-quilted in dark green. And here is "Tabitha" herself, the little blue camper-trailer on the middle right, the home-away-from-home that provides so many happy vacations for Kimberly and her husband ! 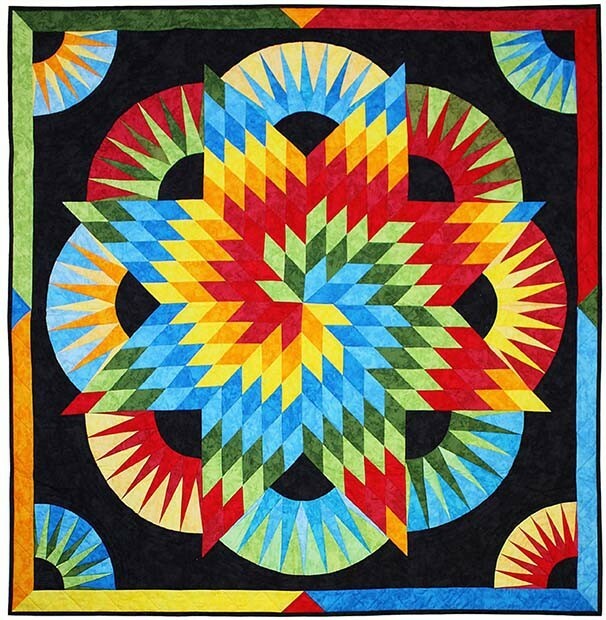 Warm sunny weather greeted us upon our desert adventure to Quilt Arizona!, the new name for the 2016 annual show of the Arizona Quilters Guild in Mesa, Arizona. Here's Part 3 of the highlights of the show, plus some of our personal favorites. 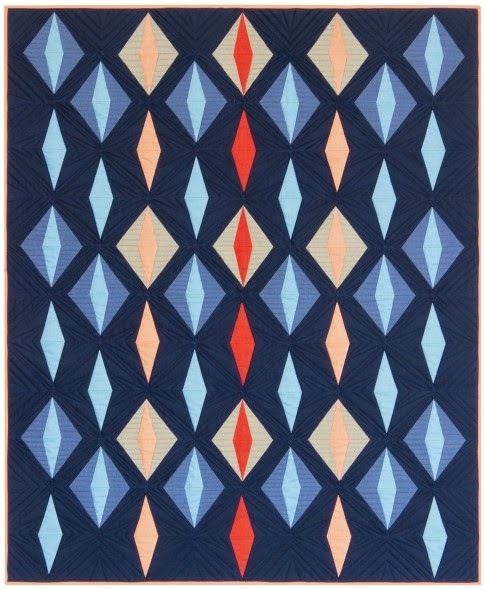 This week, we're featuring quilts with a southwestern motif ! 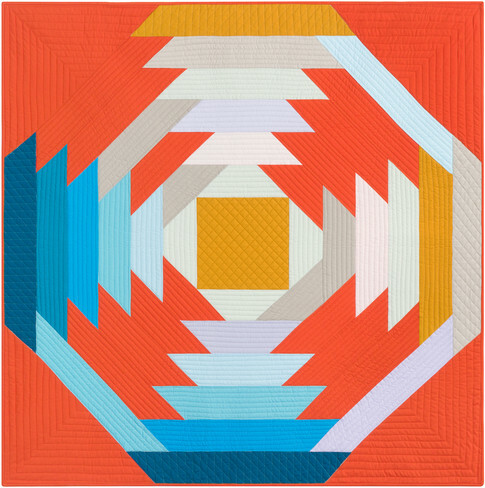 Second place winner in the Small Pieced Quilts category, Janet writes, "[This] quilt is paper pieced and reminds me of [the town of] Sedona's red rocks, turquoise and silvery jewelry, and beautiful Arizona sunsets." Janet has done a wonderful job of selecting fabric hues which exemplify the colors of Arizona's natural scenery, especially the earth and the sky. 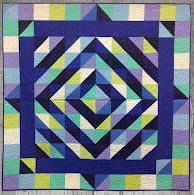 The design is Glacier Star by Judy Niemeyer. 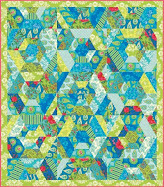 Sedona Star was quilted by Janet Grant on a track mounted machine. 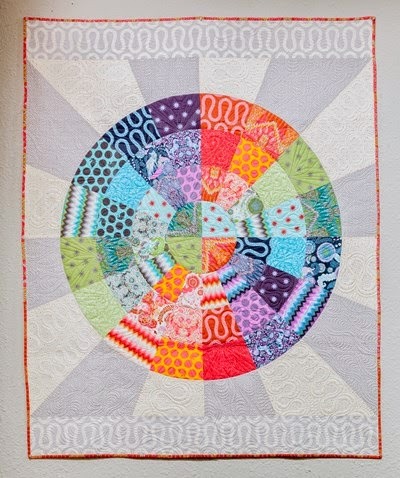 The contemporary quilting pattern on the background really help the flying geese circular medallion "pop" and provide one of the focal points for the viewer's eye. 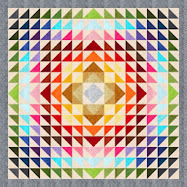 We thought that this quilt was one of the prettiest ones in this year's show. 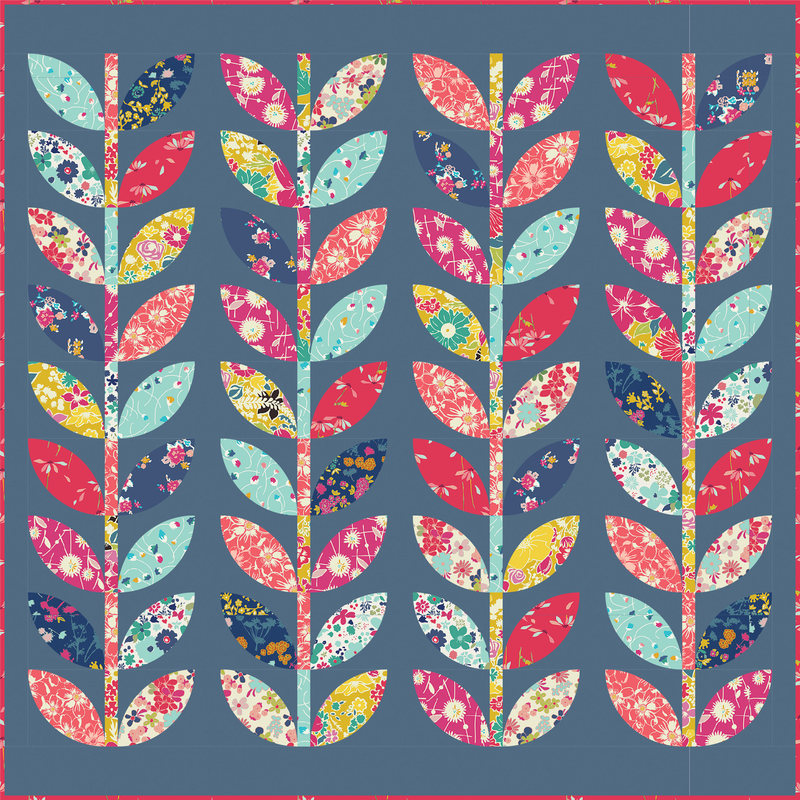 Roberta states about her design, "I started with a cowboy pattern, but didn't like it. Changed and decided he needed to be out on the range. He is a true cowboy, the code of the rugged American West. " This cowboy fits in perfectly with Roberta's excellent landscape background of cactus, tall rocks, mountains, and sky. Roberta has provided a special touch to this fun quilt by embellishing the cowboy with a real rope, a belt buckle, and brass-colored buttons. Note her careful attention to detail by the addition of tiny springtime flowers on the cactus plants. Roberta quilted this herself on a track mounted machine. 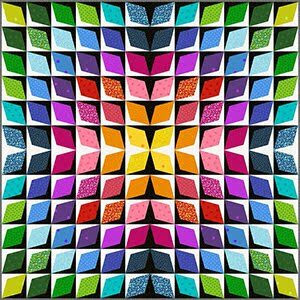 Susan's quilt depicts the vibrantly colored Talavera ceramics, produced in Mexico and very popular throughout the American Southwest. She notes, "I have always loved Mexican tiles and pottery. This is my interpretation, using dark batik background and an original border... [It is a ] gift for daughter-in-law Brooklee Norris." Susan's fabulous work was hand-appliqued and hand quilted on her lap. We think she did a super job! 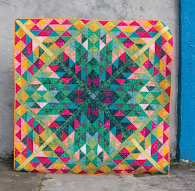 The pattern for this quilt is Fiesta de Talavera by J. Michelle Watts. 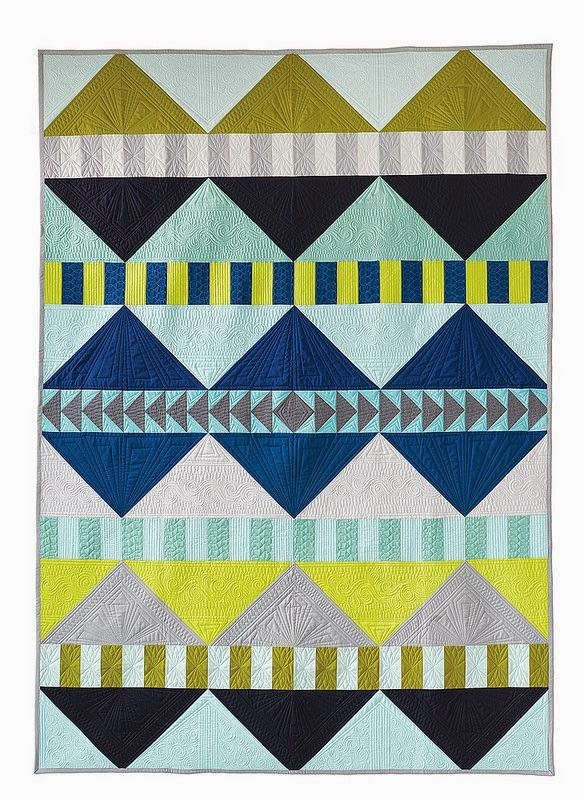 Two Gray Hills is a cotton fabric quilt based on a woven wool rug made by the Navajo native people of Arizona. Starting in the 17th century, the Navajo tribespeople acquired a herd of sheep from the Spanish explorers in the region. They used wool from the sheep to make yarn and develop their now famous weaving skills. 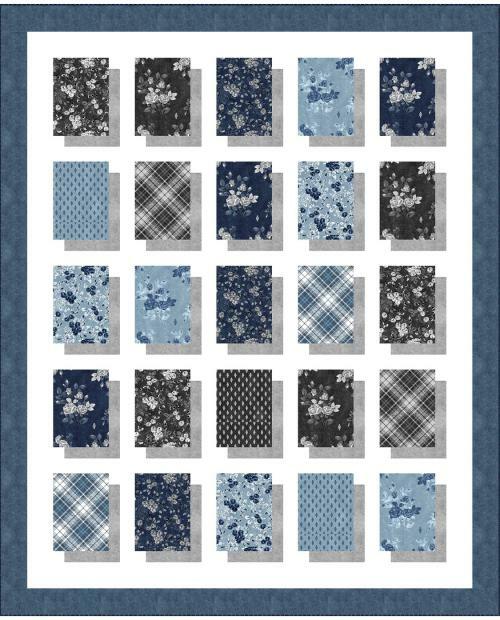 Navajo rugs are highly sought after items, and Two Gray Hills is one of the best known patterns of Navajo weaving. Susan explains, "I have a Two Gray Hills [Navajo woven] rug. 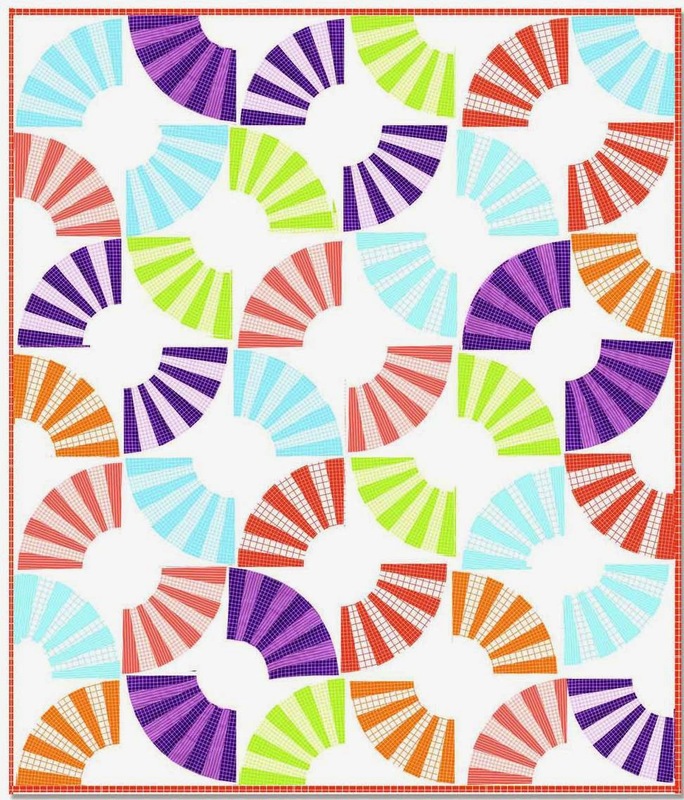 When I saw this pattern, I wanted a quilt to match the rug." 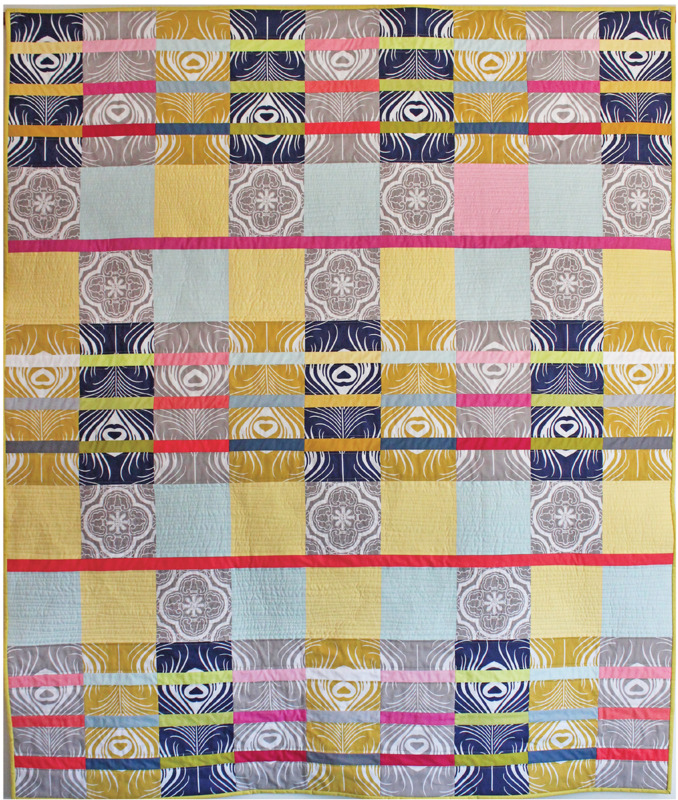 We think that's a terrific idea to make a quilt based on a rug pattern, and Susan's work turned out exceedingly well ! 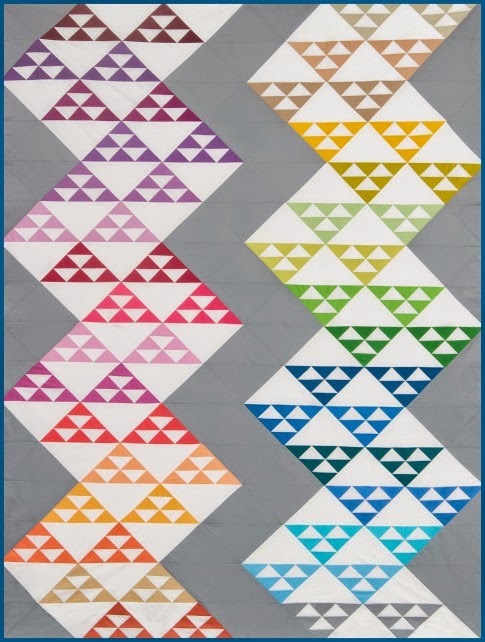 We really like this quilting motif done by Lana Corcoran on a track mounted machine. 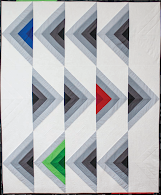 This piecing pattern is Two Gray Hills by J. Michelle Watts. Each block of this intriguing quilt contains a replica of a Petroglyph, a symbol or image of animals or nature engraved into the rocks of the Southwest by ancient peoples. 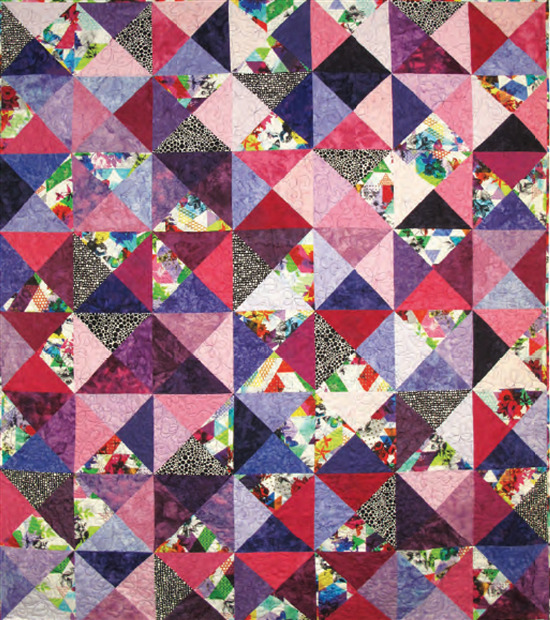 Sharon did beautiful work on piecing both the front and back on this vivid quilt, as well as the very precise sashing comprised of half-square triangles. 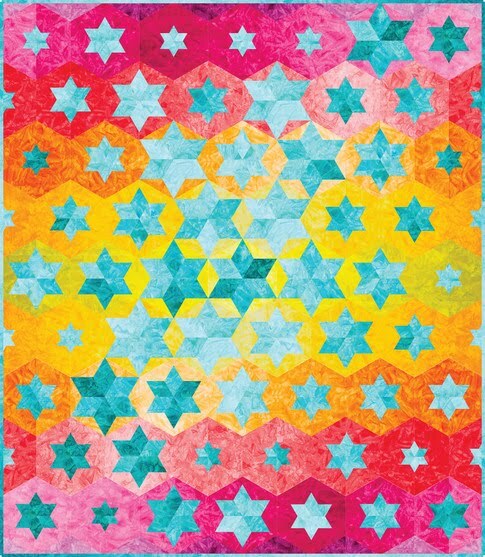 The Desert Etchings piecing pattern, plus the embroidery pack of the primitive etching motifs are available at Sew What Quilting. Desert Etchings was machine embroidered and quilted by pattern designer Linda Visnaw on a stationary machine. 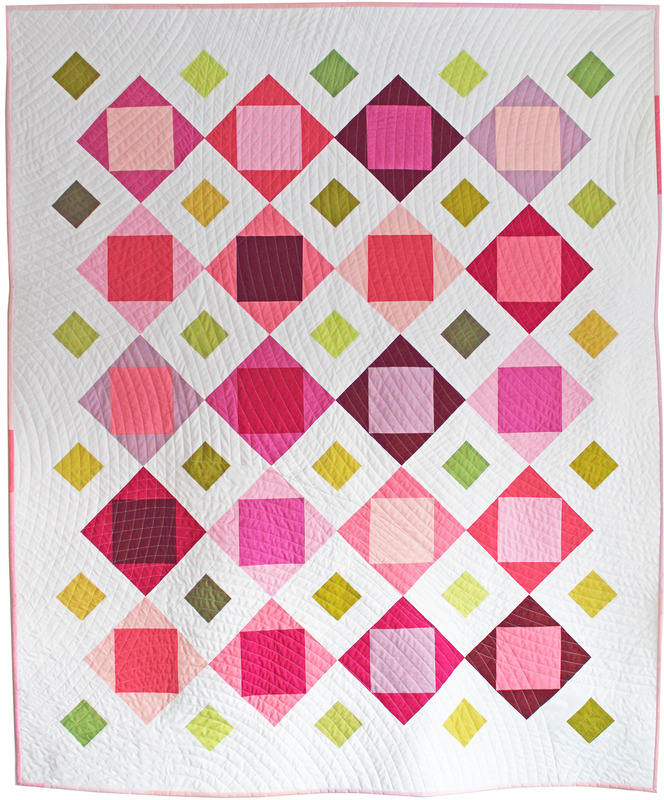 These softly muted shades of cinnamon, coral, gold, and green give this quilt a warm, glowing effect that is so pretty. Warm sunny weather greeted us upon our desert adventure to Quilt Arizona!, the new name for the 2016 annual show of the Arizona Quilters Guild in Mesa, Arizona. Here's part I of the highlights of the show, plus some of our personal favorites. 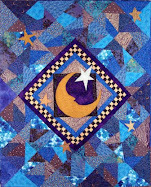 Third Place winner in the Pictorial Quilts category, Alicia notes, " [This was] inspired by Vincent Van Gogh's painting The Starry Night. Small pieces of fabric were used as brush strokes to depict an Arizona desert night." 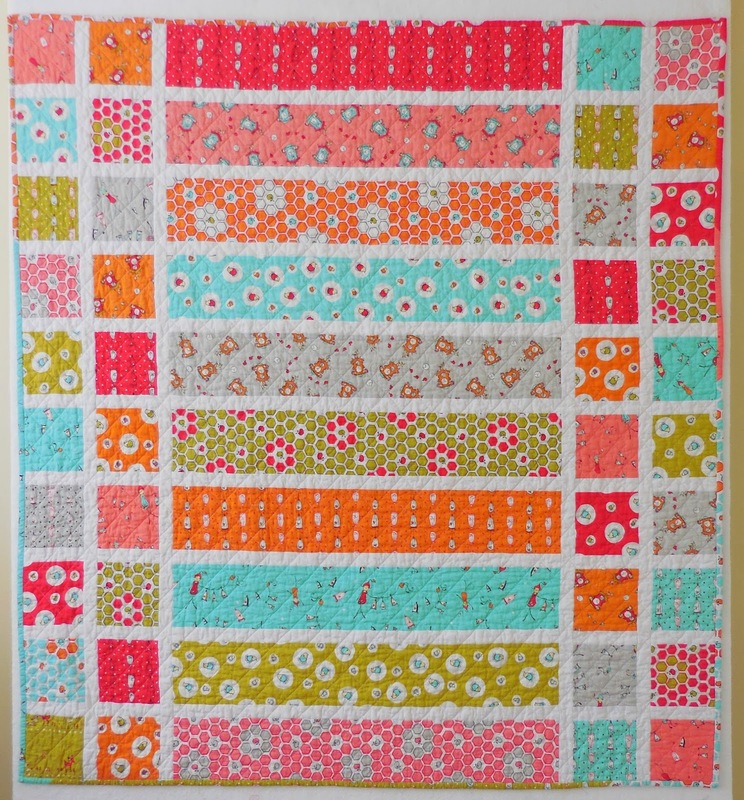 Alicia quilted this lovely creation herself, using a stationary machine. In the original work, Van Gogh painted a dark stalk of wheat in the foreground. She has replaced the wheat with dark stalks of saguaro cactus, the state plant of Arizona. We really admire the innovative way that Alicia has modified the famous painting by adding ideas of her own - the cacti that typify the Arizona landscape. 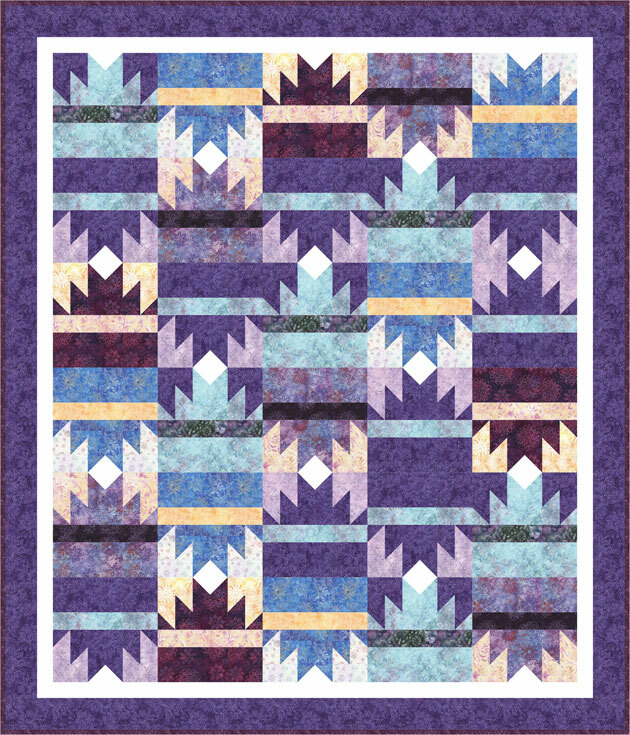 Second Place winner in he Pictorial Quilts category, Patsy says of her original design, "This quilt shows my parents taking a break from raking leaves. Not much happening, but the love shines through. And it did, for 63 years." Patsy quilted her heartwarming work by herself on a stationary sewing machine. Here you can see all the different fabric and thread colors used to depict the angles, lines, and shadows of the subjects' faces. 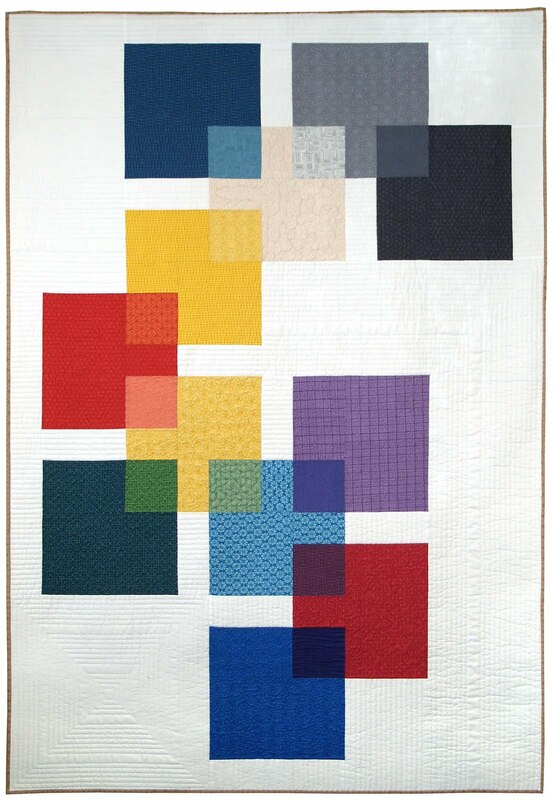 This quilt was one of our favorites, as this artist's creation is so expressive. We found ourselves drawn to the representation of fondness and joy of life this couple displays for each other. 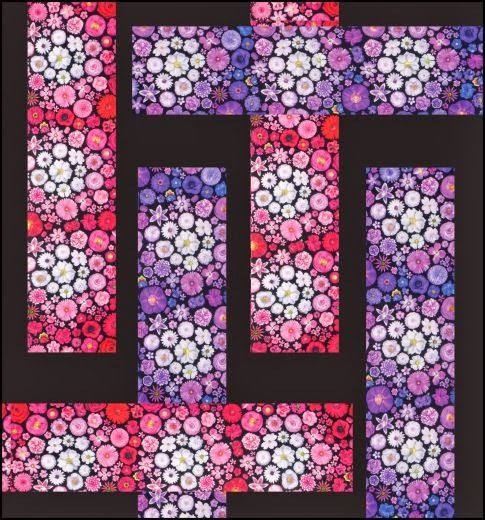 Honorable Mention winner for Medium Size Pieced Quilts, Debbie states, "Starting with a commercial pattern for the central motif, I designed my own borders. 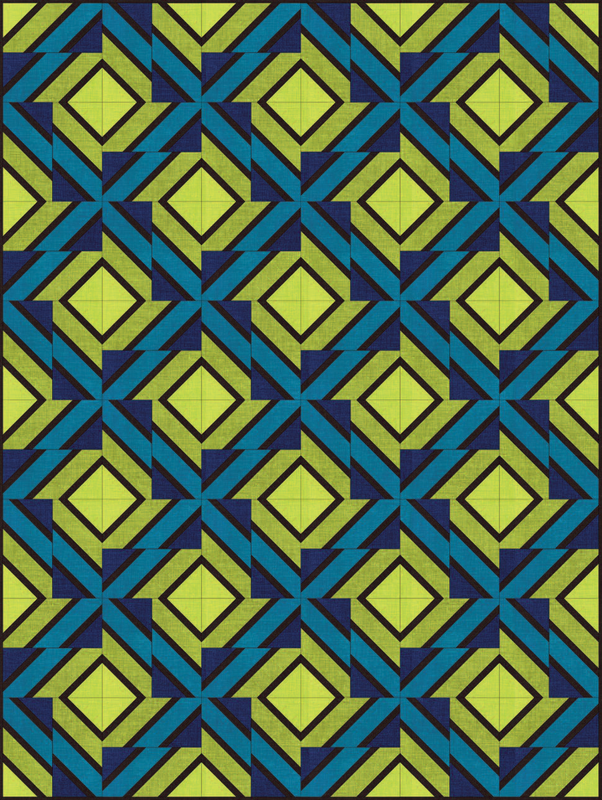 Quilting was inspired by Zentangle Doodle Designs. [I] used Cindi Edgerton's tissue paper foundation for the feathered star. All else is original." In this closeup, you can see some of Debbie's outstanding workmanship on the appliqued border. The cute heart in the middle of the applique gives a charming touch. 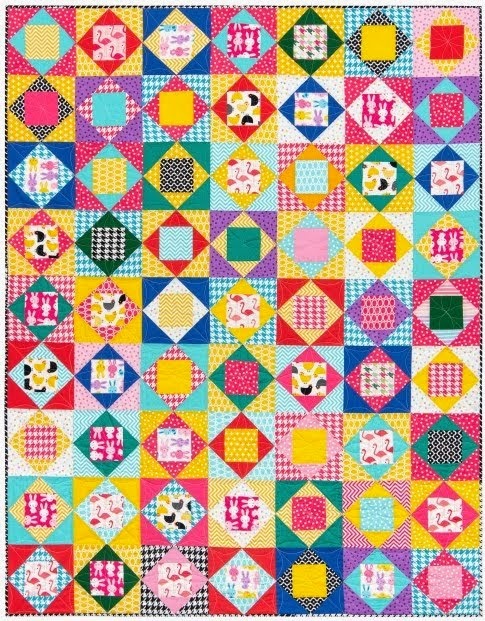 Debbie quilted her work on a track mounted machine. Third Place winner for Abstract Art quilts, Alicia explains, " A failed graduated bargello piece provided the perfect background for a sunflower quilt. I wanted the flowers to float on the background. " 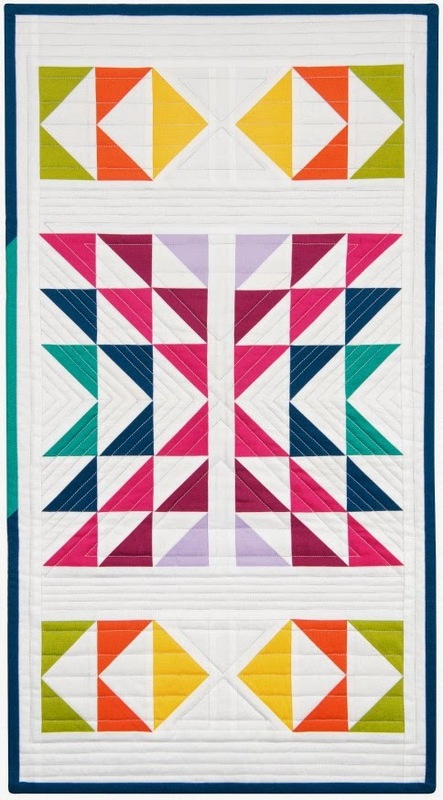 By the way, we at Quilt Inspiration do not see anything "failed" about this work ! 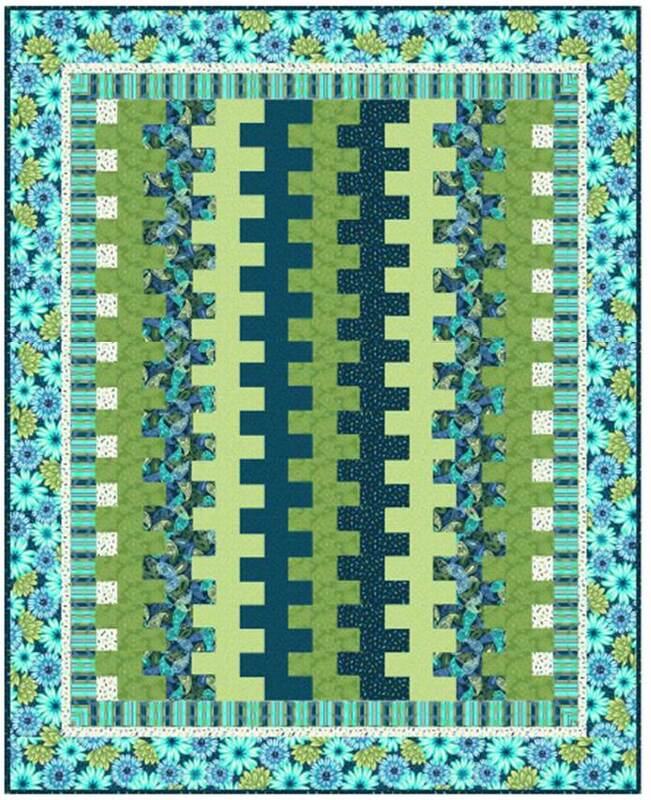 We love the color contrasts of the fabric and the circles of print fabric that cap the tops of the green bargello design. Alicia quilted this beautiful work herself on a stationary machine. 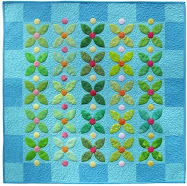 These sunflowers done in gold thread give such an elegant look to this lovely quilt. 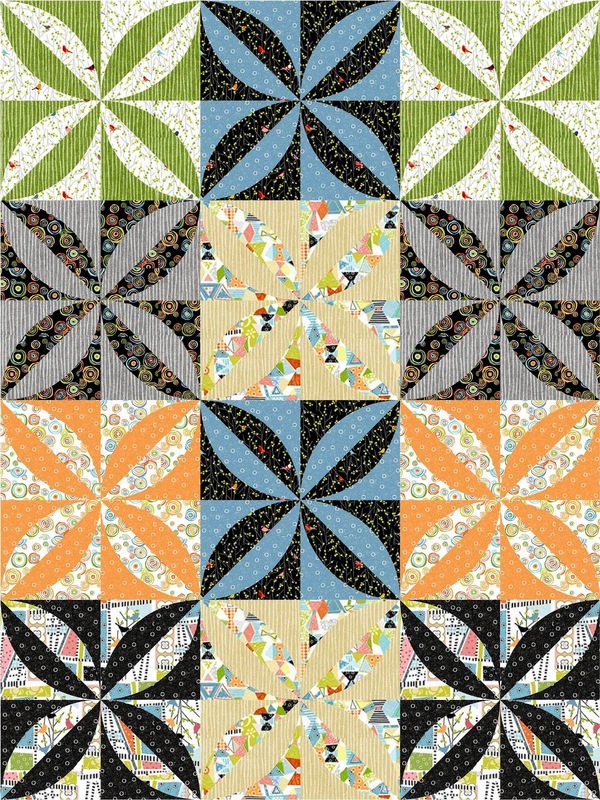 Second Place winner for Medium Size Pieced Quilts, Judith writes, "Asian inspired fabrics remind me of my memorable visits to Japan, China, and Thailand. 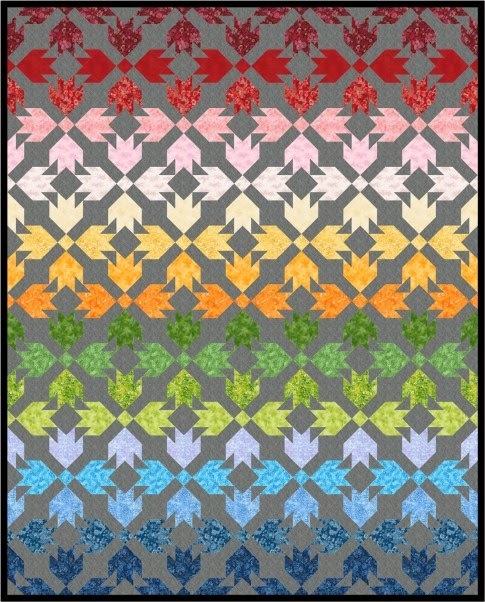 I hope the re-create this quilt someday in oriental kimono fabrics. 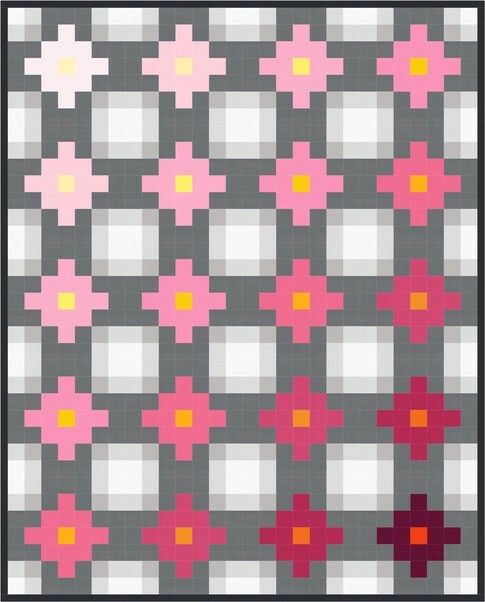 [The pattern for this quilt is] Japanese Fan by Judy Niemeyer for Quiltworx. 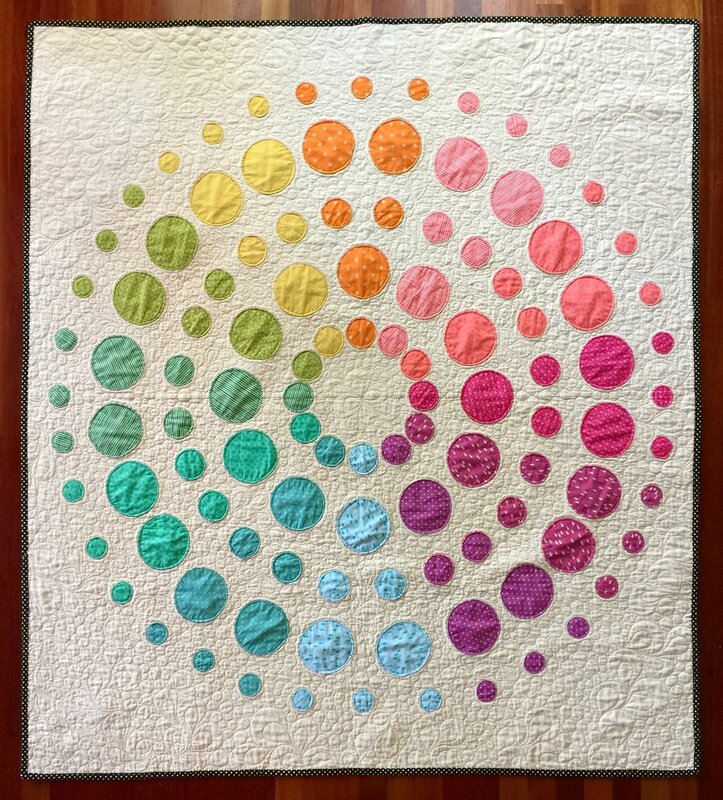 Jessica Gamez quilted this stunning work on a track mounted machine. The softly muted warm colors give "Japanese Fan" such a gracious and dignified look.